While there are numerous coloring apps on the market, it just doesn’t live up to the thrill of actually coloring in the different spaces yourself, choosing to draw outside the lines when you deem fit. 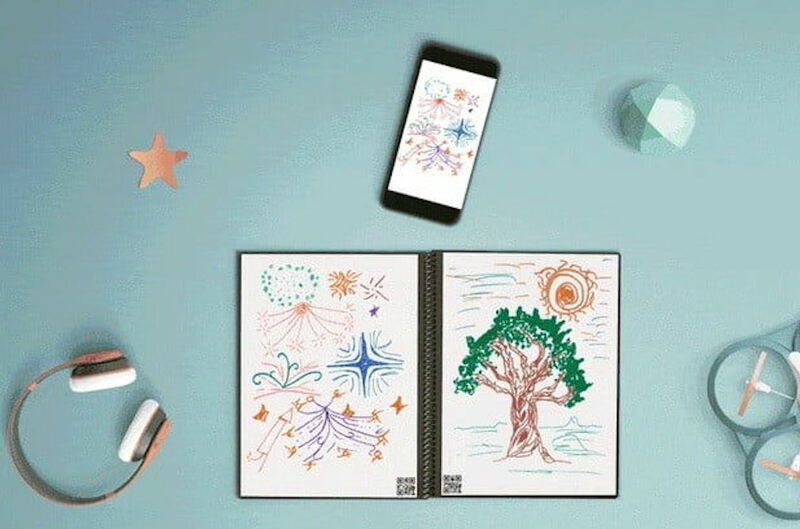 The Color Notebook is a new white-board notebook that connects to an app in order to save any drawings made in its pages as a digital file to save and share with others. It’s reusable pages make it eco-friendly as well as cutting down on supplies to pack up. The Color Notebook launched a Kickstarter campaign in order to fund their release, which has earned over $70,000, nearly $50,000 more than its original goal. To get a notebook of your own in November 2017, simply donate $20 to the campaign, with an additional 6-pack of markers for $5.